The United Nations has drawn on its extensive experience as well as the expertise of partners to develop practical guidance material to support mediation actors. 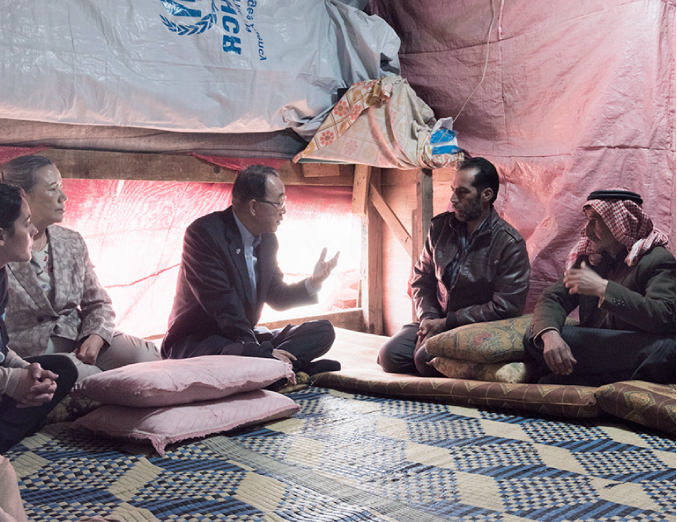 In 2012, the Secretary General developed the United Nations Guidance for Effective Mediation in response to a request from the General Assembly (A/RES/65/283). The Guidance is designed as a reference document, drawing on the experiences of Member States, the United Nations system, regional, sub-regional and other international organizations, non-governmental organizations, women’s groups, religious leaders, the academic community, as well as mediators and mediation specialist. The Guidance explains each fundamental, outlines some potential challenges and dilemmas facing mediators and offers some guidance. 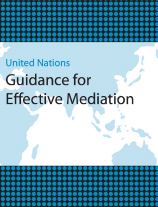 The Guidance acknowledges that all conflicts are unique and require specific approaches, but highlights good practices that should inform the approaches of all mediators in order to increase the prospects of success, minimize the potential for mediator error and help generate an environment more conducive to mediation. *Dissemination of the Guidance in other languages: In resolution 66/291 of 15 October 2012, the General Assembly encourages “initiatives by Member States as well as regional and subregional organizations to further and strengthen mediation in their region" and "the use, as appropriate, of the Guidance for Effective Mediation [...] by all relevant actors.” The Department of Political and Peacebuilding Affairs is disseminating the document widely and welcomes, among other steps, its translation into languages other than the six official languages of the United Nations. Some Member States have already taken the initiative of translating the Guidance in Finnish, Slovene, Swedish, Portuguese and in Turkish. Translating Mediation Guidance into Practice: Commentary on the UN Guidance for Effective Mediation’ (by the Mediation Support Network, with a foreword by Jimmy Carter).Translating Mediation Guidance into Practice: Commentary on the UN Guidance for Effective Mediation’ (by the Mediation Support Network, with a foreword by Jimmy Carter). Regional Organizations in Conflict Mediation: Lessons of Experience and Cooperation with the UN (by the Organization for Security and Co-operation in Europe) which focuses on the fundamental of "Coherence, Coordination and Complementarity" in mediation processes. 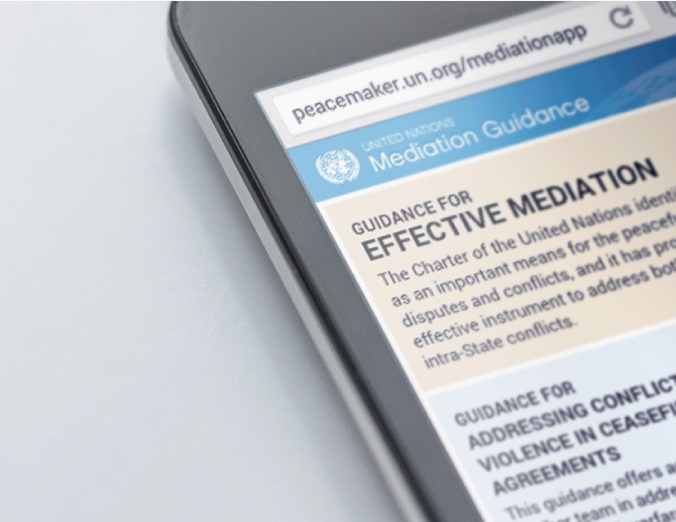 The UN Mediation Guidance App is a web application that contains a library of key UN guidance products for mediators and mediation support actors. The Web App includes the ‘United Nations Guidance for Effective Mediation’, and the ‘Guidance for Mediators on Conflict-related Sexual Violence’ developed by the UN Department of Political Affairs.